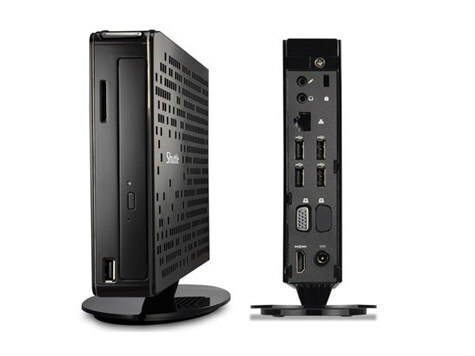 A PC and monitor combined in the sleek, touchscreen interface that is the All-In-One. No mouse or keyboard required! Because the All-In-One Music Engine is a fanless system, it can be mounted flat against a wall, taking up even less space; especially handy behind bars. The integrated 15.6” touchscreen combined with our intuitive user interface is simple to use, perfect for gastronomy which is stressful enough as it is. 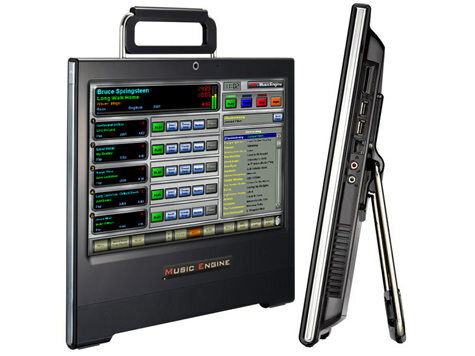 Despite its slim design and compact dimensions, the Music Engine All-In-One offers the same functions as all other products. Headphones with an integrated USB soundcard, so you can preview songs, are included. 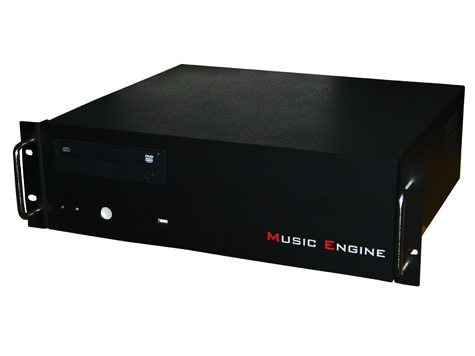 The basic model of the Music Engine product range includes all known and loved features in a fanless, modern slim casing. High tech components with a passive cooling system, compact casing to save space and our innovative Music Engine software and database make Mini-ME our clients’ favourite product so far. 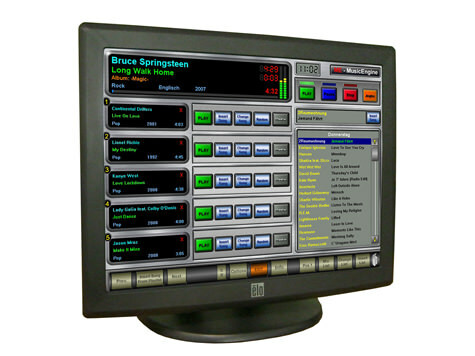 The flagship among our Music Engine products. 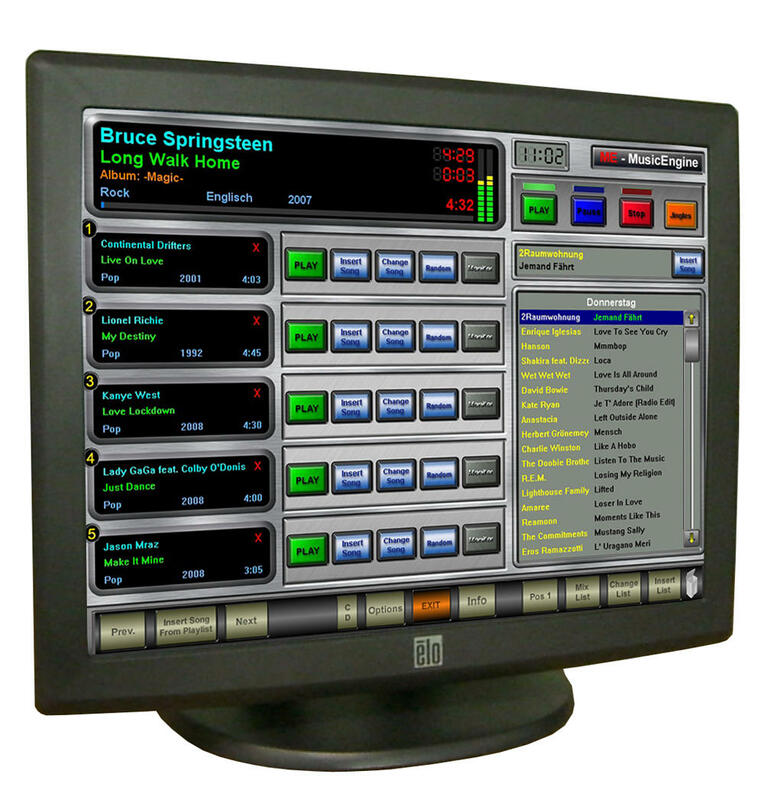 The highly professional, digital audio system, developed by us, consists of a 19” case with industrial PC components as well as our Music Engine software and database. The casing is standardised for 19” rack fittings and will fit even the smallest audioracks, thanks to its minimal depth of 36cm. The 19” Music Engine allows you to play different songs and playlists in up to 6 separate rooms, so you will always be able to play the right music in your wellness, bar, restaurant, lobby or disco area. All that with only one Music Engine. Popular areas of use: shopping malls, shops, hotels, leisure centres, restaurants, economic centres, zoos etc. Why not make an appointment with our specialised retailers or the members of our own technical staff, they would be happy to advise you on the myriad of applications of our Music Engine 19”. This product, coupled with our know-how and software solutions, opens up a whole other dimension in the world of professional event sound reinforcement. The flagship among professionally applicable touchscreens is undoubtedly the 15” Elo Touch. Size, form, processing and design make this the perfect product for your business. Over the years this nigh indestructible but compact piece of equipment has proven itself to be the ideal solution for Music Engine customers looking for simple handling. Its extreme longevity, outstanding processing and 100% compatibility with our Music Engine justify the higher starting price and will convince you of our high standards. Contact us today about the new alternative to using a keyboard and mouse, or take advantage of our free trial service.